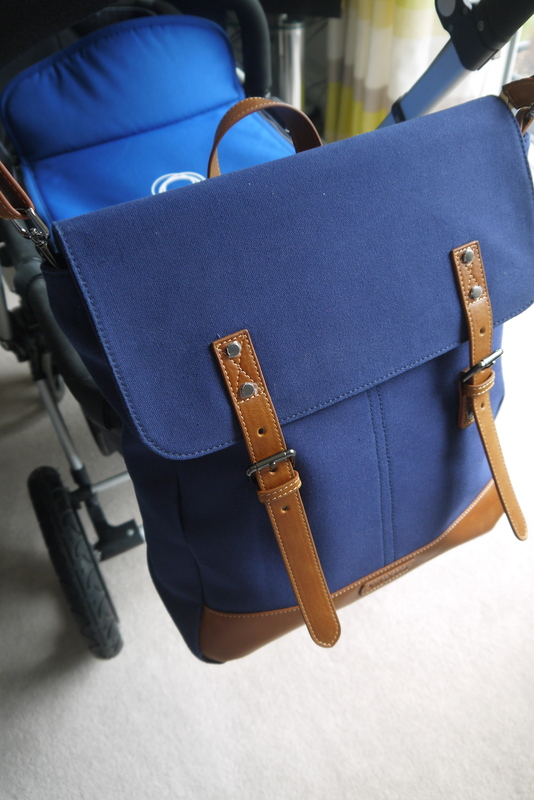 Choosing a changing bag for your little one is a little daunting. Not only, like with all baby gear you purchase, does it make the whole “I’m having a baby” situation feel a lot more “real” but there is also a huge lack of selection out there for women who are struggling to accept that they’ll be exchanging their favourite arm-swag for something a little more practical and probably, ugly. 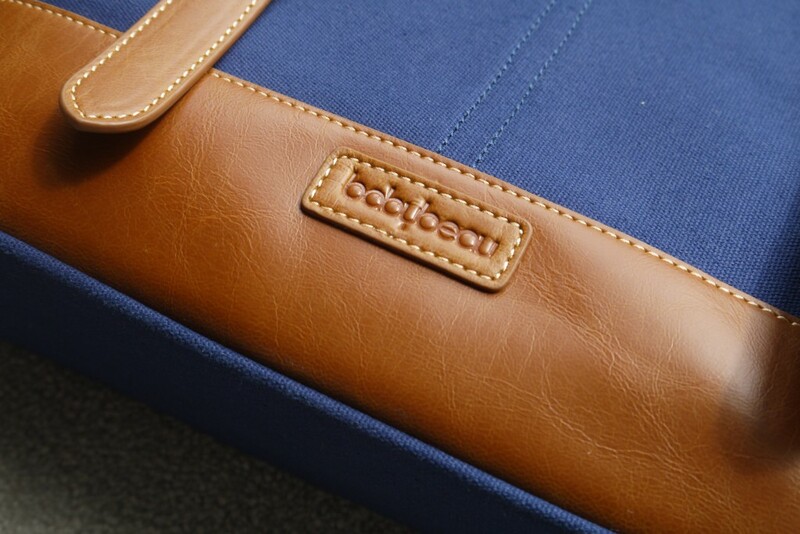 The Babybeau Joel* ticks all the boxes. 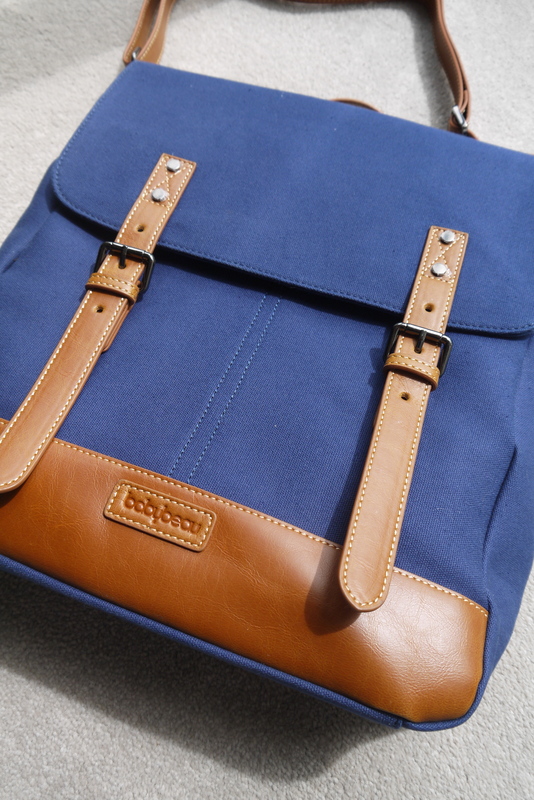 It’s perfectly practical (more on that later) but more importantly it’s stylish for both Mum and Dad. 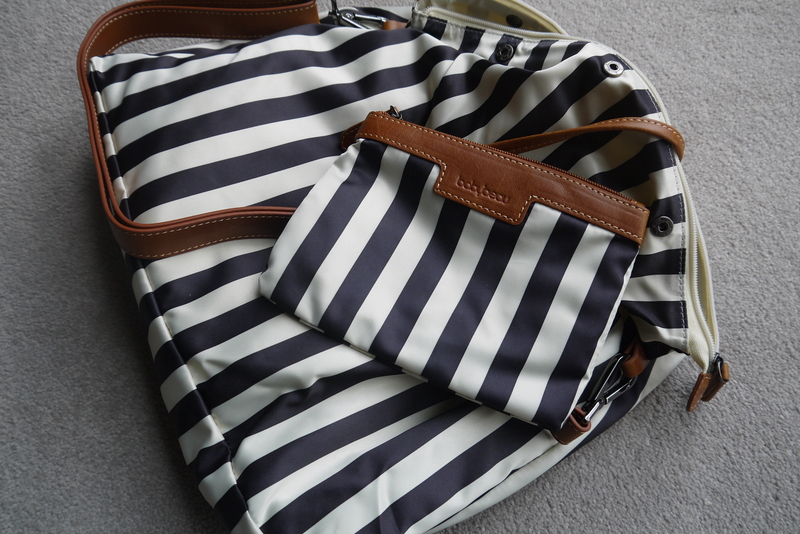 It gives you everything you could possibly need in a baby changing bag. 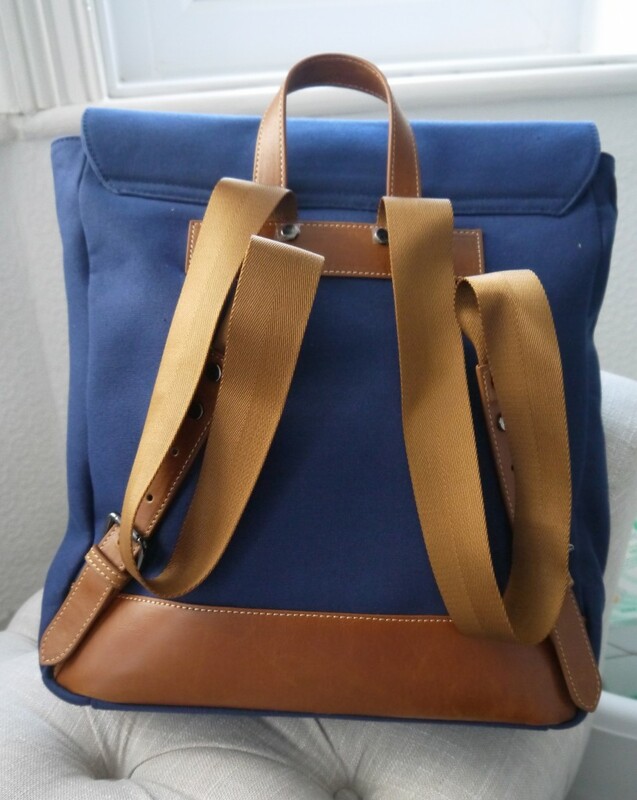 The design is a simple backpack concept, with tan canvas straps on the back (ideal when it’s Dad’s turn to change the baby! 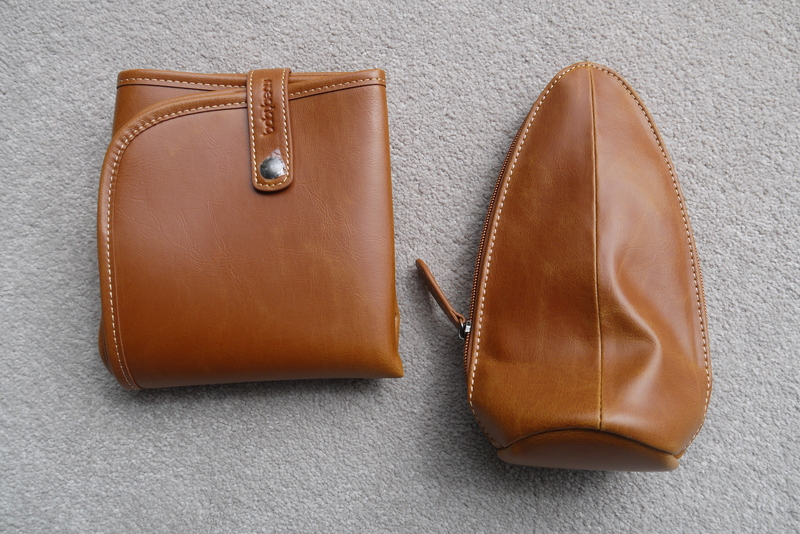 ), a small carry handle and a larger detachable handbag strap. The magnetic buttons on the front of the bag allow for easy access inside and there’s no fiddling around with buckles and poppers when needing urgent access to a muslin! 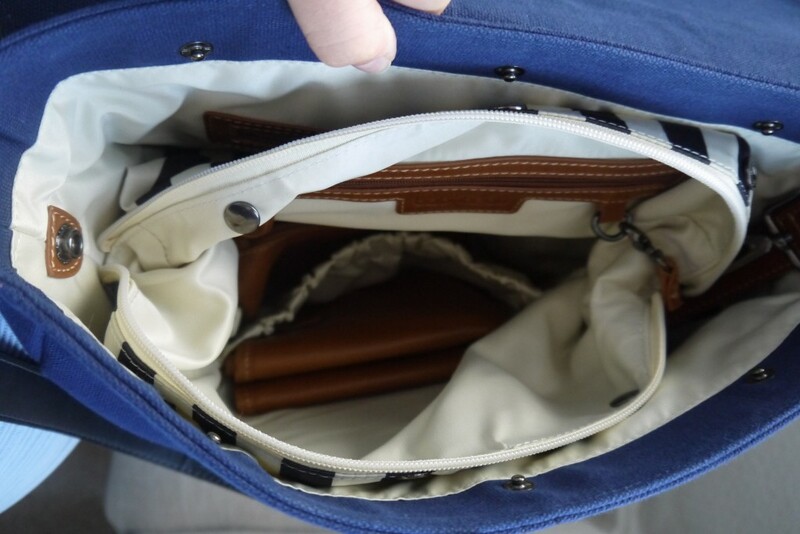 Inside, the bag is spacious and contains everything you’d expect in a changing bag. 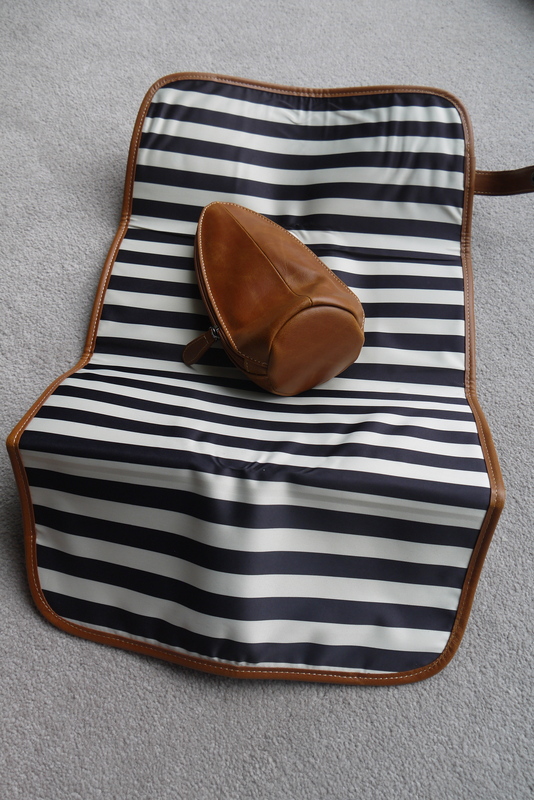 A beautiful tan changing mat, a bottle holder, lots of hidden compartments and pockets, along with my favourite accessory of all, the striped detachable organiser which is just perfect for storing your keys, phone and purse without having to rummage through 20,000 muslins and baby toys to find the minimal “you” items in the bag! 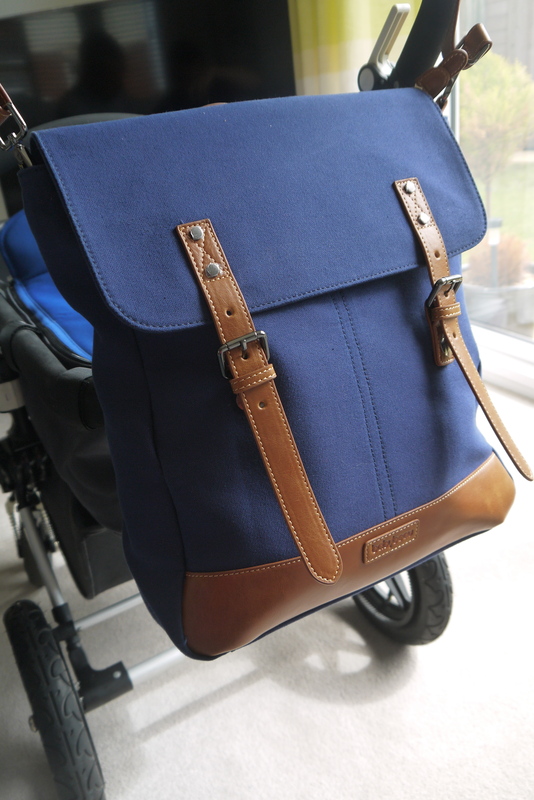 The clever detachable organiser inside means you can transform your bag into a regular spacious rucksack or can be used on it’s own for a little bit of a baby changing bag change! Priced at £79.95, it’s the perfect baby changing crowd pleaser without breaking the bank. You can feel stylish, Dad has no shame in carrying it and it’s so practical, you just wouldn’t believe it is built as a changing bag. Who knows, maybe baby Seb will be running around with his changing bag on his back one day! You can buy the Babybeau Joel via the Babybeau website here. *I was sent this product for review and all views are my own. ← Liz Earle Heads Up!